Eric started his fabrication career in 2004 upon graduating high school. His first job was at Danco Metal Products, a steel company. Eric started spot welding and inserting hardware in metal. Over time, he advanced and learned how to operate CNC machines. Once Eric had mastered running the 3 CNC Machines, he was appointed as a welding supervisor and received his welding certifications through Danco Metals. Eric managed both the CNC machines and the welding machines during his time as welding supervisor. 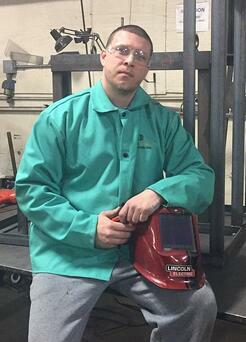 Eric began working at Industrial Shredders 4 years ago as a welder and fabricator. Working at Industrial Shredders appealed to Eric because the role would allow him to take a more 'hands on' approach. “In bigger companies that I worked at in the past, everyone is siloed into one department or a specific role. Since we operate as a small team, I get to be hands on throughout the entire process. I love that I am a fundamental part of our operation and get to build our machines from the ground up”, says Eric. Many of the machines that Eric and his Industrial Shredders staff create are customized to the client’s specifications. “We have a close relationship with our clients. 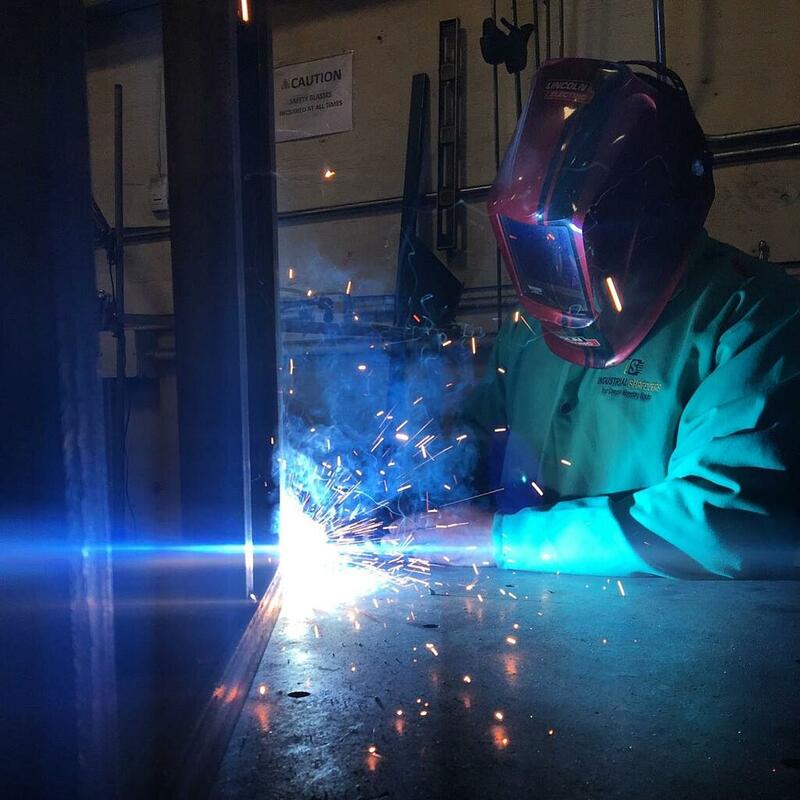 Our clients can pick up the phone and speak to our welding and fabrication staff. During my time at Industrial Shredders, we’ve created custom machines to shred soft plastics, sheet metal, foam, paper, and more. I enjoy hearing my client’s toughest shredding difficulties and designing custom solutions to solve them”, says Eric. One thing that Eric loves about his role is his ability to move quickly on projects without the corporate limitations of going through multiple departments to complete a project. “Recently we got a purchase order for a 16 Radial Cutter. Once we got the print approval from our client, we cut the steel and started assembling right away. That is something that wouldn’t happen at a larger company, where it could take days before starting working on the machine”, says Eric. Interested in learning more about the machines that Eric and the Industrial Shredders team build? Check out the links below.